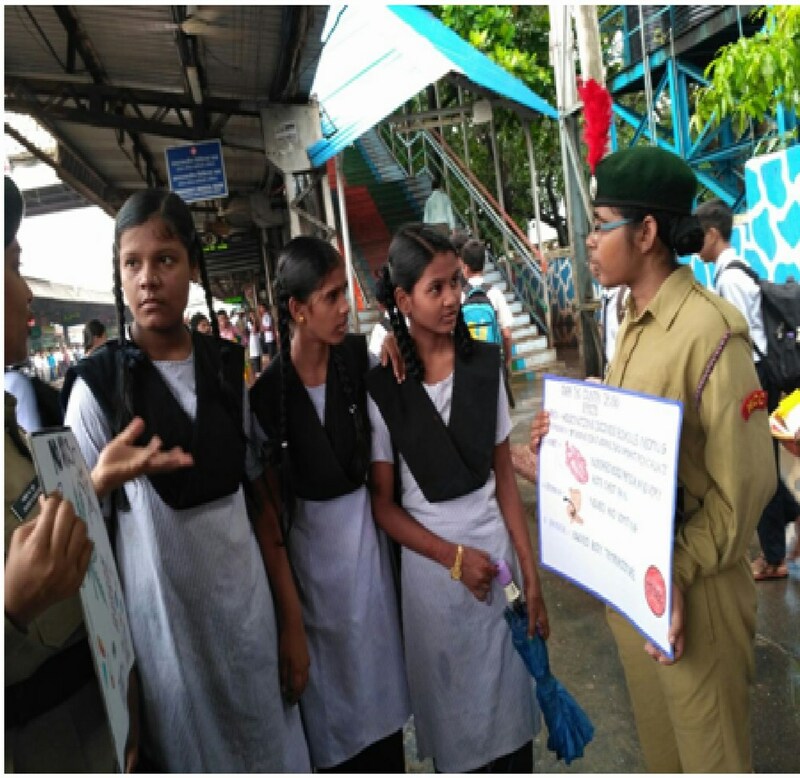 On August 5, 2017, as part of the Swach Bharat Abhiyan effort, 15 girl cadets of 8 MAH Girls BN, Patkar-Varde College, conducted an Anti-Spitting Awareness Rally at Goregaon (West). 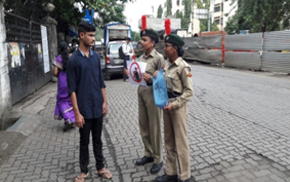 Using placards and posters,for over two hours, Cdt.Sakshi Dhaigude, Cdt.Shweta Adsule,Cdt.Supriya Kamble, Cdt.Akshadha Ghadge, Cdt.Purva Kondalkar,Cdt.Sweta Dhumal,Cdt.YaminiRawool,Cdt.Pratiksha Potbhare,Cdt.Pritee Bavisa,Cdt.Jyoti Ghuge,Cdt.Deepali Gadkari, Cdt.Rutuja Pokle,Cdt.Renuka Waghmare,Cdt.Priti Prajapati, and Cdt.Pooja Jaiswar spread awareness about the dangerous consequences of spitting, and also about the need to inculcate a civic sense. 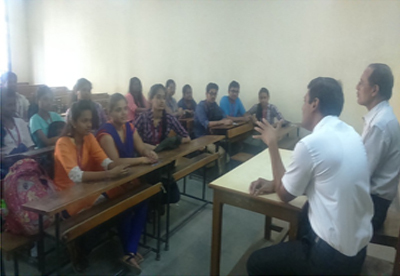 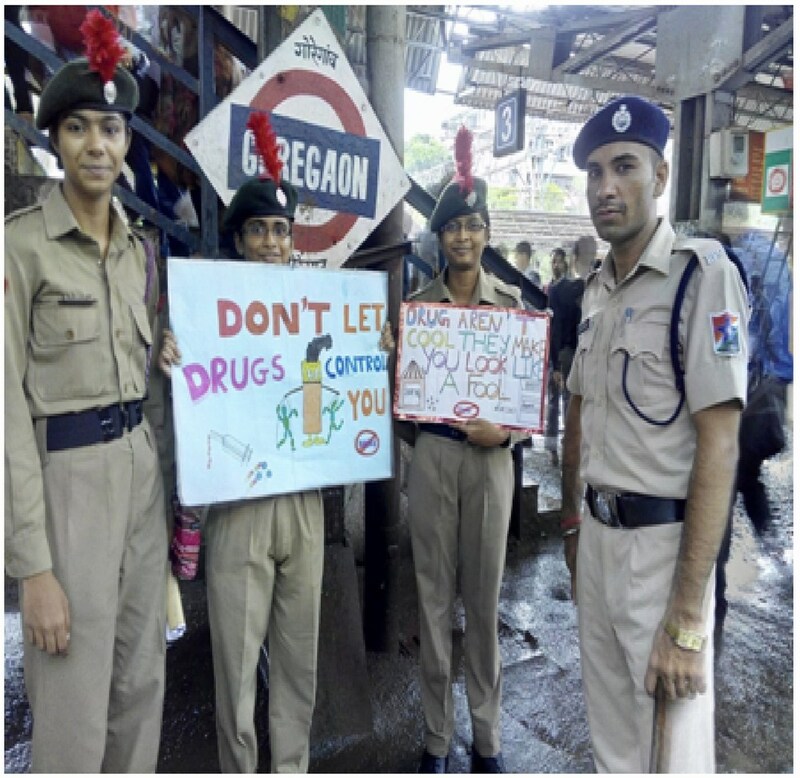 On June 28, 2017, the NCC Units of the College conducted a campaign on the occasion of ‘International Day Against Drug Abuse and Illicit Trafficking’ for spreading awareness amongst the masses, especially the youth. 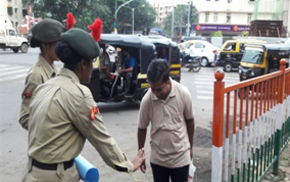 Between 12 noon and 2p.m. 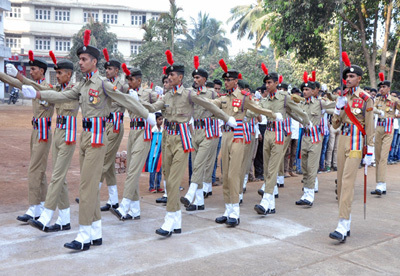 the Cadets campaigned across four railway stations:Andheri, Goregaon, Malad and Kandivali. 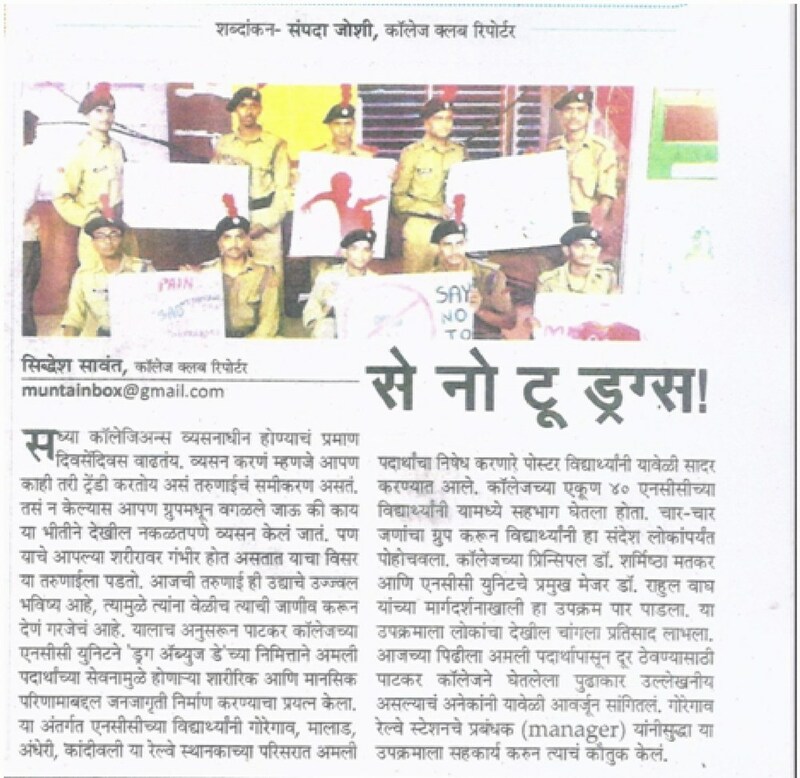 Permission for this activity was sought from the station masters at the three railway stations through a letter by Principal Dr. S. L. Matkar. 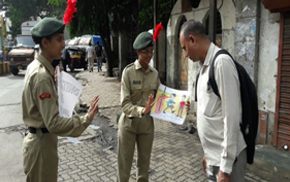 The torrential rain did not deter the cadets from the assigned duty. 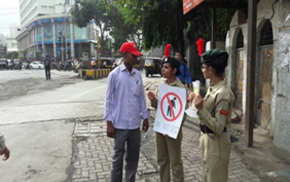 With colourful placards and posters, they disseminated the awareness regarding the vices of drug abuse. 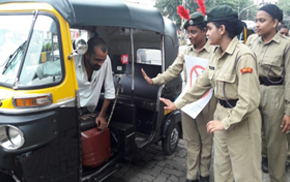 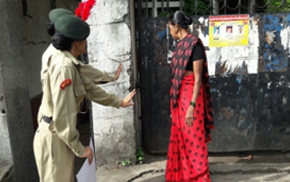 The campaign achieved the desired goal of spreading awareness amongst the masses,as within a span of two hours, the cadets could reach out the message to a population of approximately five thousand,a large number of them being youngsters.